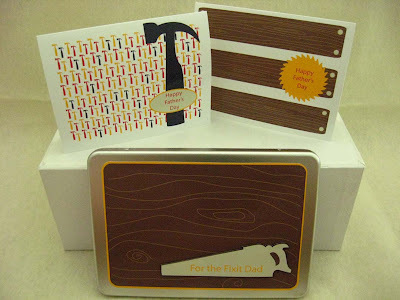 Here's the kit for those DIY dads! I had lots of fun with this kit! There's lots of little tool icons and the wood texture was fun to work with also. As with the release yesterday there's a standard version and a custom version which lets you type in all your own sentiments. All you need is candy, tins, and the kit! 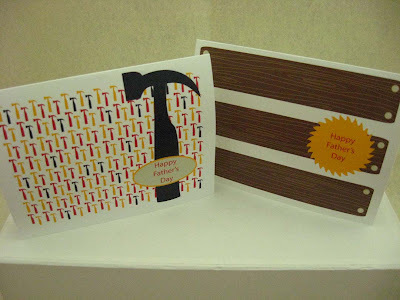 The both kits include two cards, the tin cover with three alternate sentiments, and one sheet of designed labels. You don't need any special photo editing software to add the text either if you purchase the custom one! I tried to make it super easy for you! The labels are standard Avery 8160 series address labels. I printed the cards and tin front on shiny photo paper which looks really nice and professional in person! Don't forget to enter the giveaway! See the post here for the details! Erin, you are so awesome...and clever...and amazing! 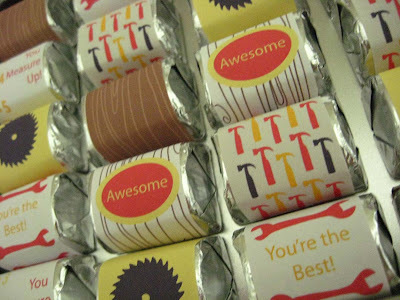 What cute things to make for Father's Day and I absolutely LOVE those little candybar wrappers. Such fun ideas!